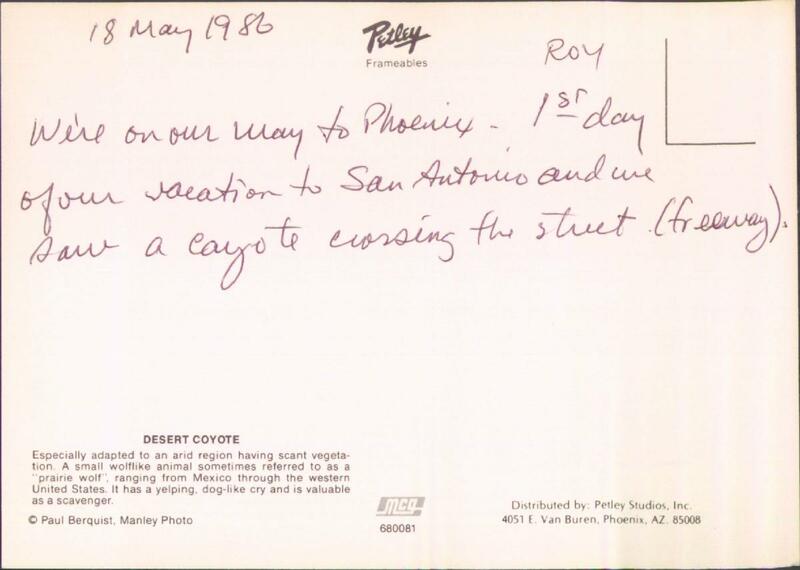 We're on our way to Phoenix - 1st day of our vacation to San Antonio and we saw a coyote crossing the street (freeway). Especially adapted to an arid region having scant vegetation. 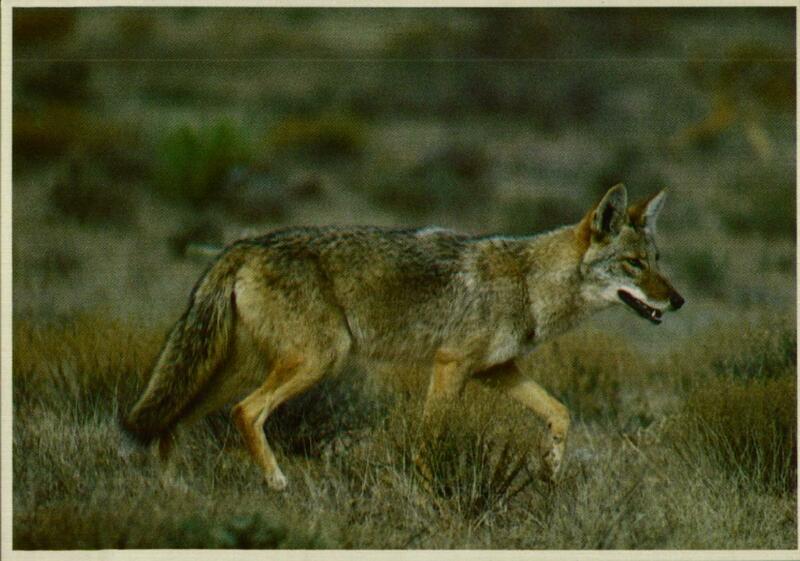 A small wolflike animal sometimes referred to as a "prairie wolf", ranging from Mexico through the western United States. It has a yelping, dog-like cry and is valuable as a scavenger.